Did Islam grow up as a Reaction to the Survival of Paganism in the Eastern Roman Empire? Both the Qur’an and later Muslim sources indicate that there were controversies in Muhammad’s home town of Mecca (and perhaps elsewhere in the Near East) that began some three or four years after his initial experience of revelation in 610. If Muhammad did keep his teachings secret 610-613, then it was sometime after he began preaching publicly that disputes broke out. What were Muhammad’s Believers and the Meccan traditionalists really arguing about? 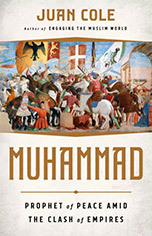 The Qur’an is clear (Night Journey 17:15) that no people is condemned or judged until after God sends them a prophet: “We do not chastise until we send a Messenger.” It therefore cannot be the case, as later Muslim writers alleged, that Meccans were upset that the Qur’an consigned their ancestors to hellfire and thus besmirched their family honor. Of course, the Meccans may have viewed the Qur’an’s condemnation of contemporary pagans to Gehenna as an insult. It is natural that later Muslim authors should have seen the conflict as primarily about religion, but there is reason to think that some of the building struggle was over social values. The Qur’an speaks harshly of the greedy and ruthless wealthy, and demands that they provide philanthropy to the destitute. The early chapter Small Kindnesses 107:1-7 says, “Have you seen the one who rejects the Judgment? That is the one who drives away the orphan, and does not advocate for feeding the poor. Unhappy are those who pray but who ignore the meaning of prayer, who are just showing off but who will not offer small kindnesses.” Wealthy pagan temples in late antiquity before the hegemony of Christianity had often been a “resort” for the poor. Likely the Kaaba played a similar role. Some of the conflict here is over the values of of the Banu Hashim or clan of Hashim, to which the Prophet Muhammad belonged, as shrinekeepers of the Kaaba tabernacle with its zone of peace, and the martial, grasping ethos of some other clans. That the Qur’an publicly made demands on behalf of the poor and urged the freeing of slaves could have stirred lower class discontent, to the alarm of the elite. In addition, the Qur’an’s emphasis on individual rather than clan responsibility undermined tribal authority. An earlier generation of historians, such as W. Montgomery Watt, who wrote in the 1950s, put forward what some called a “Marxist” interpretation of these verses of the Qur’an, arguing that a rising mercantile elite in the city came into class conflict with those poor left behind. The Revisionists of the 1970s through about the 1990s pushed back against this sort of use of the sources, arguing that we can’t know that Mecca existed, or that there was a caravan trade, or that there were class conflicts. But they tended to discount the Qur’an itself as a primary source, and it situates Mecca near to Yathrib or Medina and it does denounce the heartless rich. I’m suggesting that the conflict might not be simply between classes but between occupational groups. The Banu Hashim were peacekeepers and devoted to taking care of pilgrims at the Kaaba, and so insisted on charity. They probably had a preexisting conflict with the warrior-raiders of the Bedouin and the, let us say, frugal merchants. 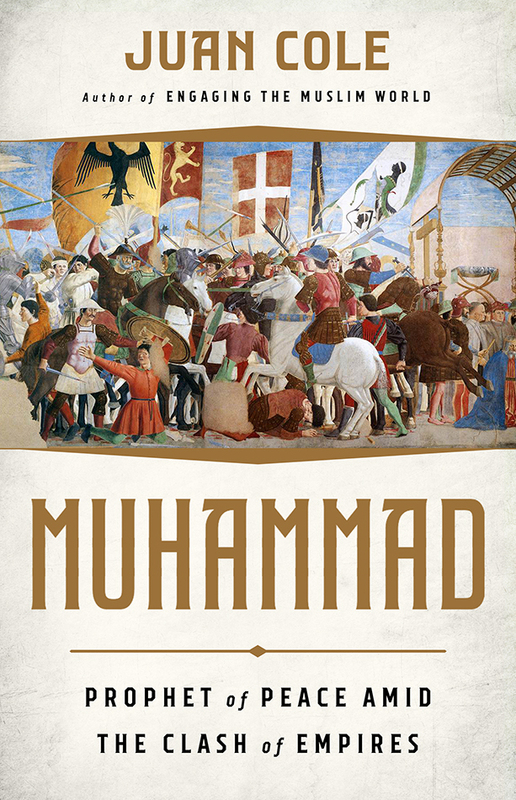 Still, Muhammad was leading a religious movement in which religious ideas were central and the Qur’an says they did provoke some of the ensuing conflict. The situation was apparently more complex than the older image of a monotheistic prophet preaching to polytheists. Some Meccans had probably moved toward a concentration on the worship of God already, and may have seen the old lesser deities as his angels. The Qur’an (Gilded Ornaments 43:87 and The Groups 39:38) acknowledges that the Meccans believed in God: “If you ask them who created them, they will certainly say, ‘God;’” and “If indeed you ask them who it is that created the heavens and the earth, they would be sure to say, ‘God.’” The late Patricia Crone assumed that these verses (which W. Montgomery Watt had cited in the 1980s) indicated that the audience of the Prophet were “pagan monotheists.” Some probably were. But there is also plenty of evidence in the Qur’an for the attachment to polytheism of many of his critics. Moreover, Near Easterners in Lebanon, Syria and Palmyra attributed angels to their gods and then worshiped the angels as deities. That a god had an angel was no proof of monotheism or that the other gods were all reduced to angels. Maybe I’ll talk about that at more length in a different post. That some people in North Arabia worshiped the unnamed creator-God (Allah/ Theos) is proved by an inscription discovered in Rawwafa, in what is now northwest Saudi Arabia. Archeologists uncovered a “squarish” temple building there with a courtyard, a tripartite room in the back, two side-rooms, and a central chamber with a restricted area. One inscription, in both Greek and Aramaic, dedicates the building to emperors Marcus Aurelius and Lucius Verus, which proves that the temple was founded between 166 and 169 CE and that the Romans were interested in the fate of this backwater near the Red Sea–probably because they feared Iranian competition. The inscription says, “For the well-being [or peace] of [Marcus] Aurelius Antoninus and Lucius Aurelius [Verus] . . . This is the temple which the brigade of Thamud made.” The Roman governor in Bostra clearly attempted to attract Thamud young men as border guards (limitanei) for the Roman army, and encouraged temple-building in the outpost. Another inscription from Rawwafa, found in the same building, says, “the temple which Shiddat, the priest of God [Alaha], son of Megido, who is from Rabato, made for God . . . with the encouragement of our lord the governor.” That is, a military unit of the Thamud tribe in the second century CE built a temple to the supreme deity, the unnamed God, at the instance of the Roman empire. (M.C.A. Macdonald, “On Saracens, the Rawwafah inscription and the Roman army,” in ibid., Literacy and Identity in Pre-Islamic Arabia (Surrey, Eng. : Ashgate Pub., 2009), ch. 8). The inscriptions left by the Arab-ruled Nabataean empire in Transjordan and northern Arabia (c. 300 BC- 106 AD) and the Arabic-language Safaitic inscriptions on stone in this region, which are hard to date but probably span the late first century BC through the first centuries after Christ, often mention God (alaha or al-ilah or in the Hejaz Allah) as an element of a name. So boys were called ‘gift of God’ or Wahb allah. Or God is called on to remember people kindly. But Rawwafa is the only place we have solid information about where there was the sort of temple to God that the later Muslim sources attribute to Mecca, and it is 350 years before the rise of Islam. I don’t personally think this is a problem, since North Arabian deities are mentioned in inscriptions for hundreds of years and there is no reason to think that the creator God was more ephemeral that other deities, such as the goddesses Allat, al-`Uzza and Manat (who after the Roman conquest of the Near East became identified with Athena, Aphrodite and Tykhe, respectively). There is no reason to believe that the Thamud were monotheists in this period, but the inscriptions suggest that this Thamud shrine was monolatrous, dedicated solely to the worship of God/ Alaha. They would have accepted the existence of other gods, but did not worship them at this shrine. Four hundred years later, the Quraysh at Mecca had a similar shrine to God, though Arab conceptions of God had changed enormously in the meantime. There is one piece of somewhat tentative evidence for a similar Arab practice near the time of the Prophet Muhammad. 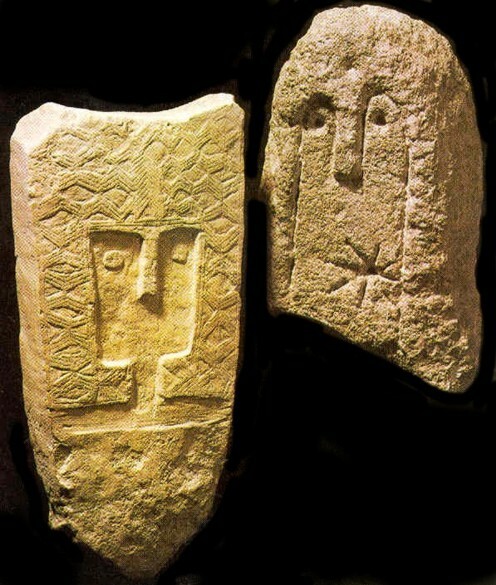 A so far unpublished rock inscription from around Medina has been photographed and put up on Twitter by the Saudi scholar Mohammed Abdullah Alruthaya Almaghthawi, who goes by @Mohammed93athar and which seems to show a pagan invoking God/ Allah, perhaps in the late 500s. Late Muslim sources, and many modern scholars, assert that the Meccans held their chief god, the lord of the Kaaba, to be the obscure North Arabian deity, Hubal. This contention is almost certainly incorrect. The Qur’an never mentions a Hubal, and gives us no reason to think he was the chief Meccan deity, who was instead the unnamed God, the creator. Only four ancient Nabataean inscriptions survive mentioning this minor figure. Arabs worshiped featureless cube-shaped rocks or betyls (nusub), whether small and portable or large and fixed. Ibn Sa`d wrote that the betyl of Hubal was only one of many godstones the Meccans set up around the Kaaba, which contradicts those historians who said that his idol was kept in an honored place inside that structure. So I think *some* of the conflict the Qur’an reports in the 610s was between Muhammad’s monotheism and surviving paganism. And I don’t think it was just in Mecca but throughout West Arabia and into Transjordan and Syria. The late Roman Greek sources try to pretend that most everybody by then had converted to Christianity, but I think that was just in the cities and lots of villagers and Bedouin still followed the old religion. By the way, the arguments of the Qur’an with the polytheists sound an awful lot to me like the literature that Christians produced, such as Origen and Athanasius, in that genre, and a thoroughgoing comparison would be illuminating. I mention a few parallels in my new book.